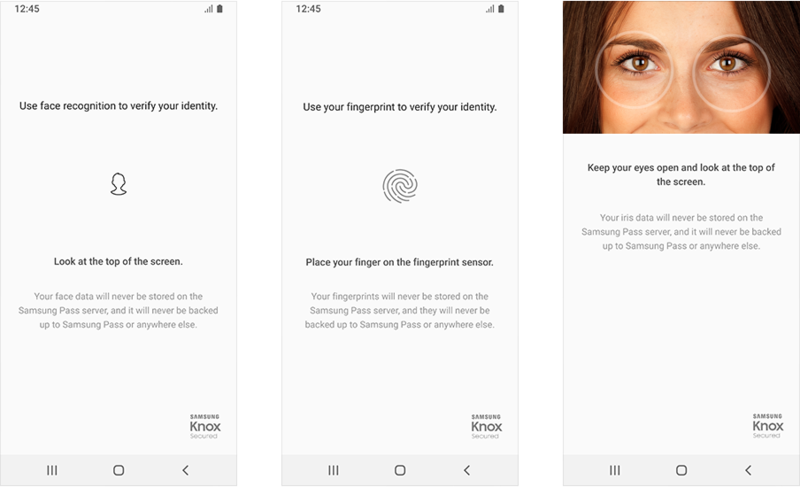 Samsung Pass is an ’identity management as-a-service’, enabling secure access through biometric authentication. country to country due to differing regulatory and legal environments. No need to input ID & Password for logging into websites anymore. 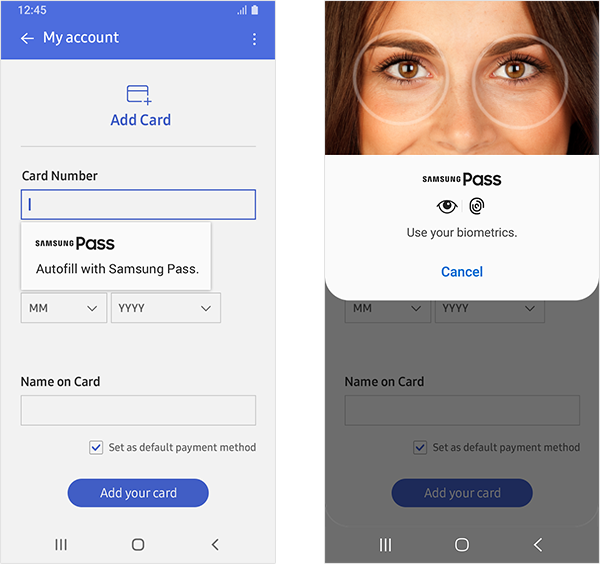 Samsung Pass provides an enhanced user experience by integrating advanced biometrics. * Web log-in is only available in Samsung Internet. 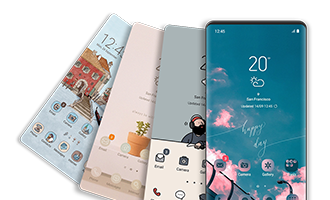 * The available functions, features and compatible applications with Samsung Pass may vary according to the partner's policy. 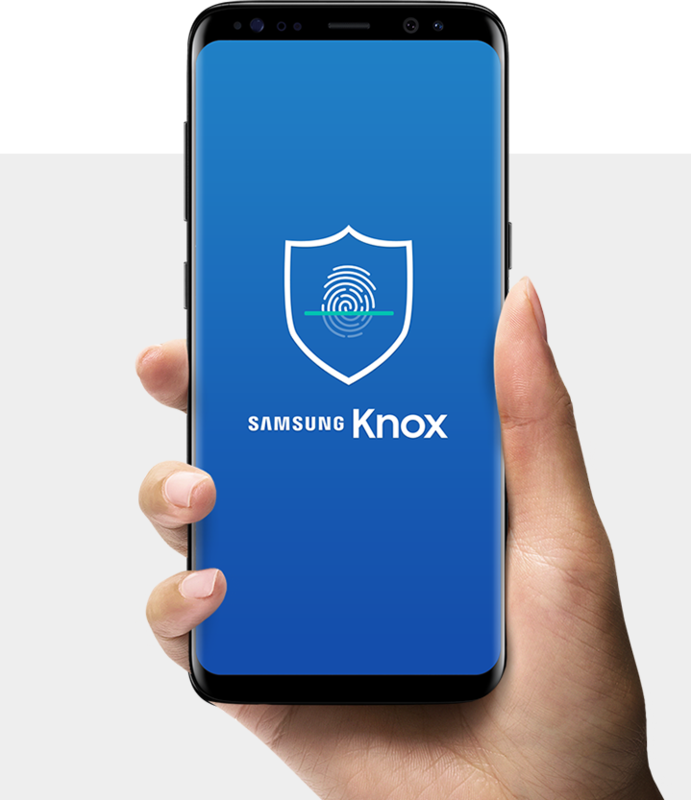 Your biometic template will be encrypted and secured by Samsung Knox. 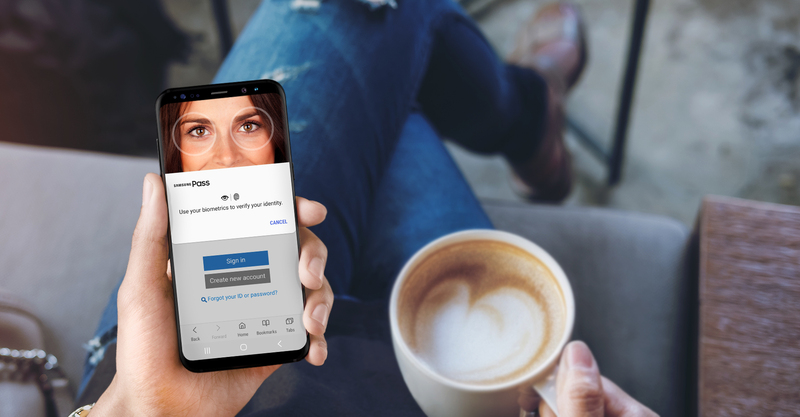 Samsung Pass adopts FIDO(Fast Identity Online) technology to ensure valid authentications and provide simple and secure biometric authentication services. 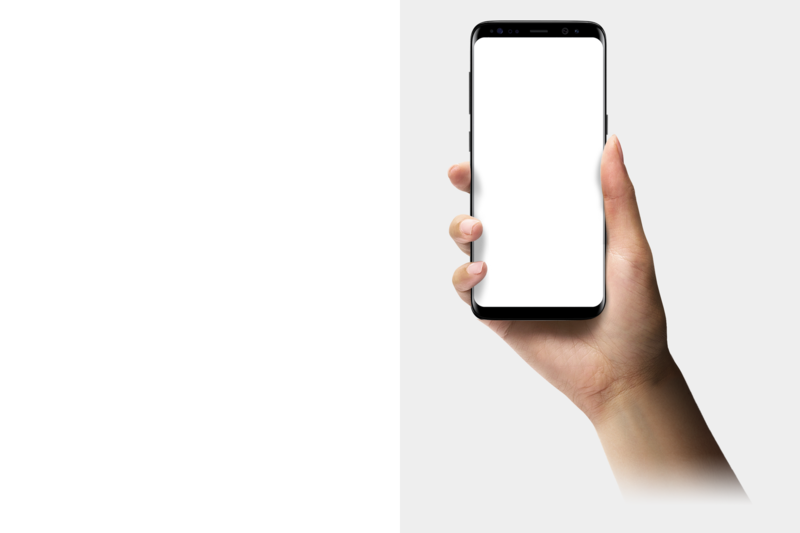 Samsung Pass enhances accuracy of e-signature with cutting-edge S Pen technology and biometric authentication. 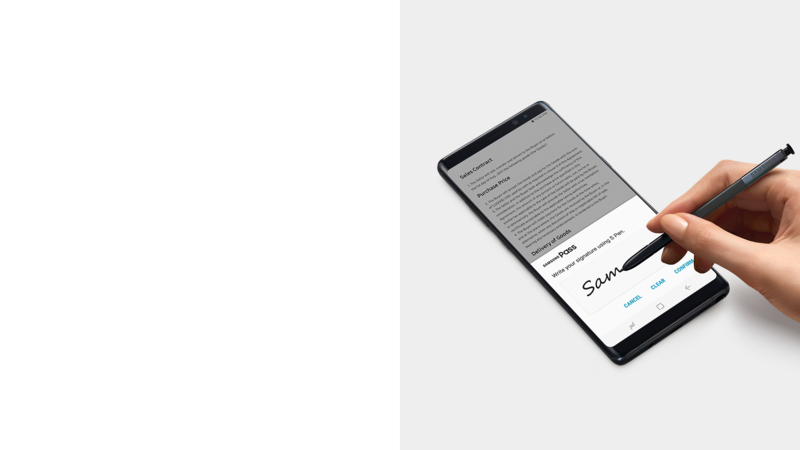 You can use the S Pen to accurately capture e-signature data and confirm e-signature conveniently with biometric authentication. 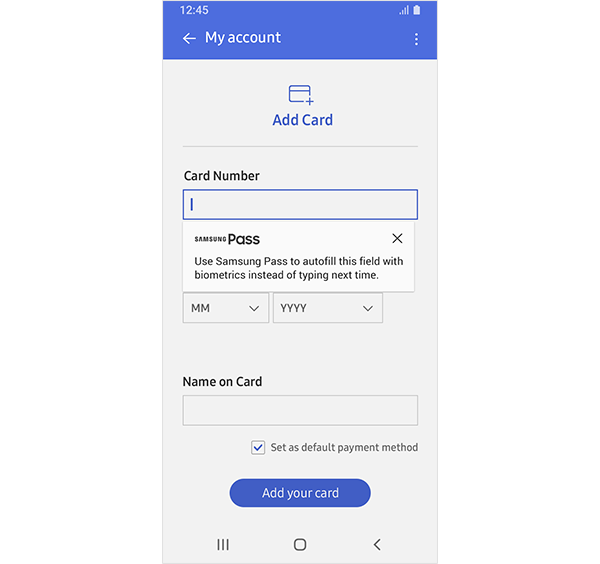 Find simple ways to use Samsung Pass. 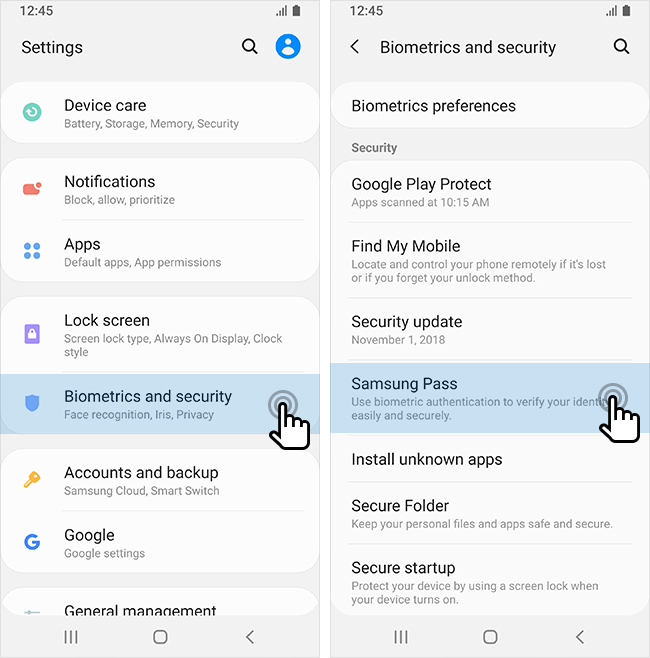 Find and click 'Samsung Pass' under the 'Biometrics and security' menu in Settings. 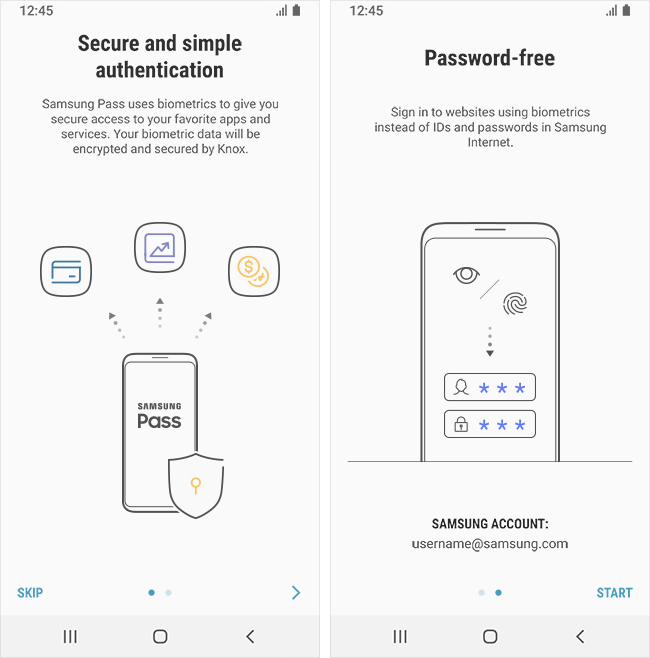 * On some models, you may find Samsung Pass under the 'Lock screen and security' menu. 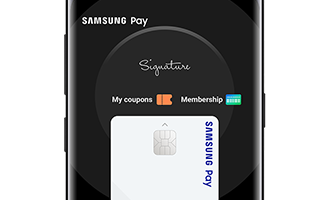 Click the 'Start' button and accept the 'Terms and conditions' for using Samsung Pass. 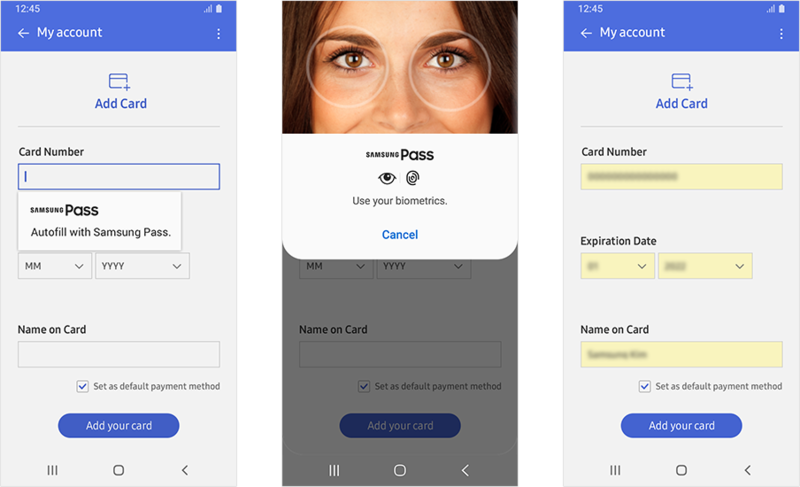 Please verify yourself using your fingerprint and iris. Setup has been completed. 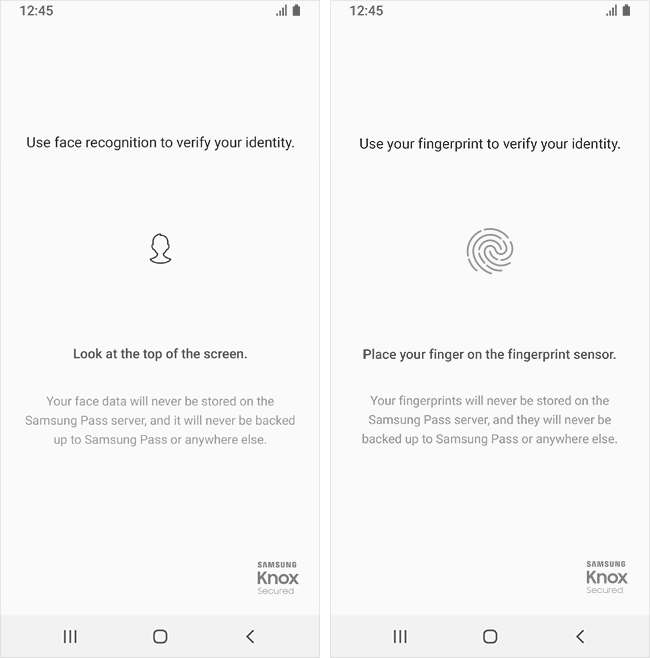 You can easily verify your identity with Samsung Pass. Run the 'Internet' app and log into the desired website. 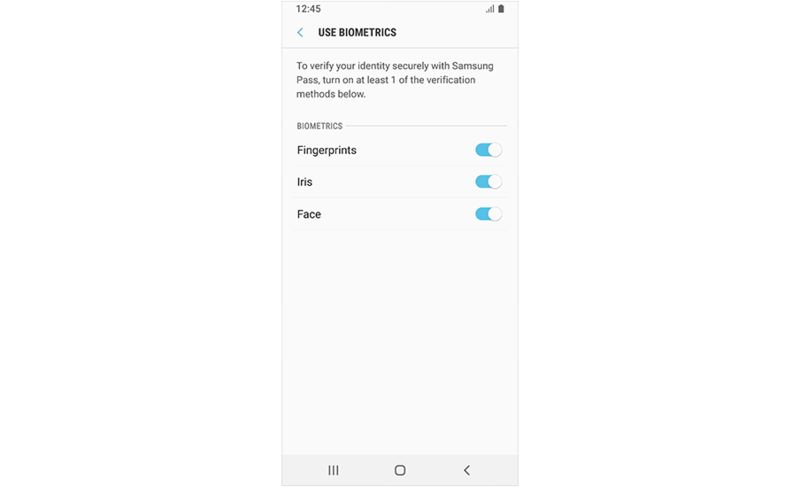 Select ’Use your biometrics to verify your identity next time’ and click ’remember’. * Only the initial input of your ID & Password is required. 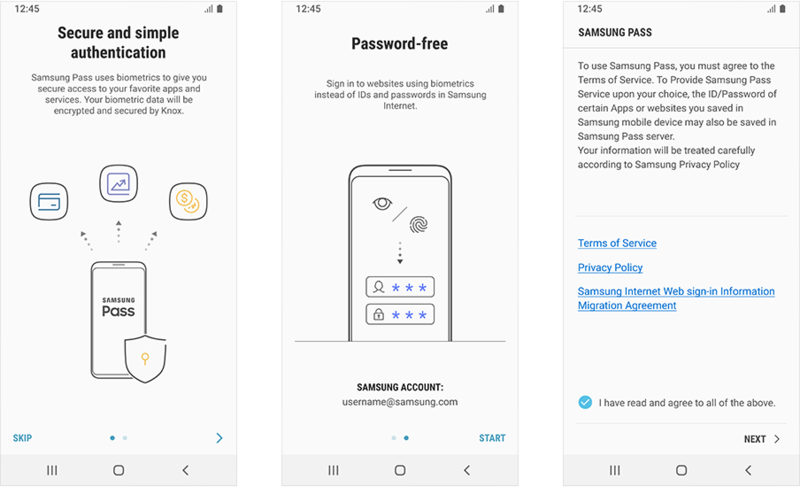 Now 'Log-in with Samsung Pass' has been activated. You will be able to log in using your fingerprint and iris on your next visit to this website. 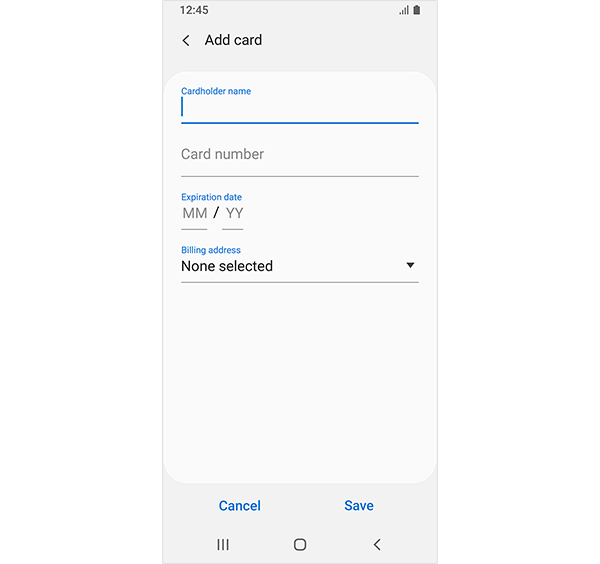 * The 'Autofill forms' feature is available on devices running Android 8.0 or later and supporting Samsung Pass. 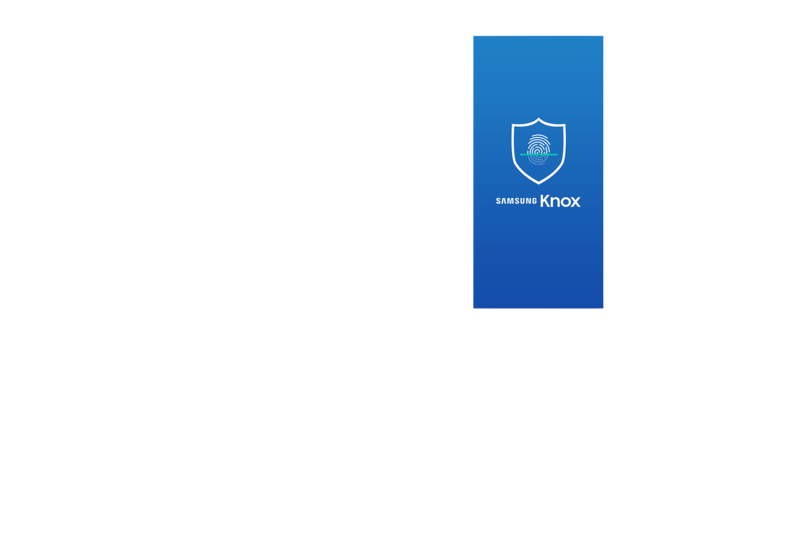 * Make sure that the Autofill with Samsung Pass application is updated to the latest version. Note that the requested details may vary depending on the partner application. - Open the application for which you need to enter a shipping address. - When you select the Shipping address field, the following message appears. - Select the message dialog to use this feature. 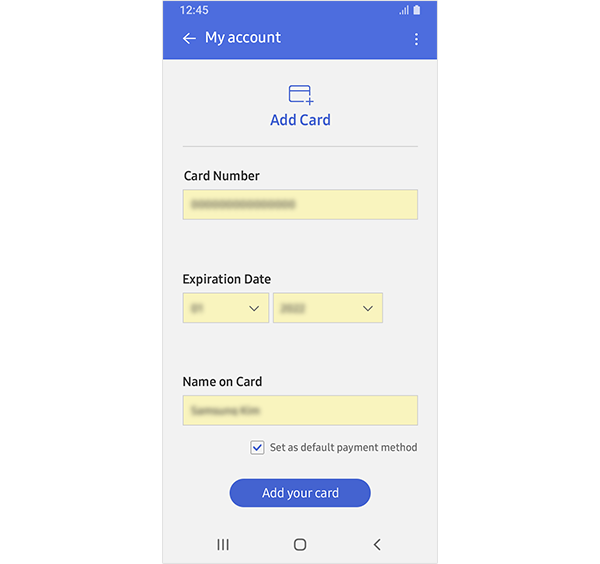 * Note that a message dialog only appears when the application supports Android Autofill Framework. 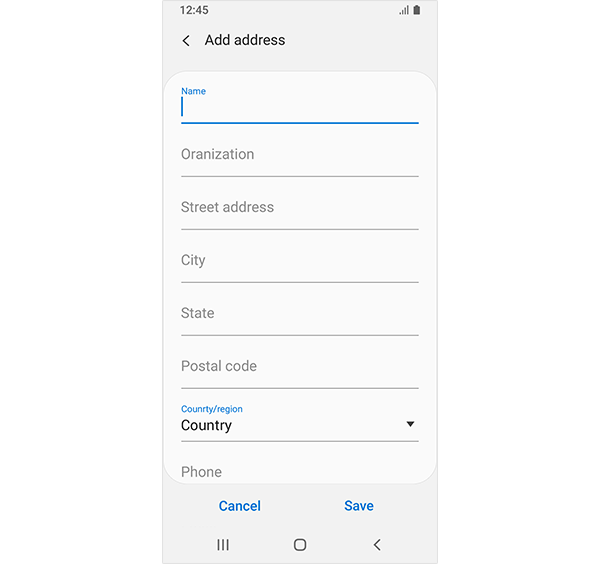 Enter details to use the 'Autofill forms' feature, and tap the Save button. After tapping the Save button, you will be returned to the previous application. * The details that you have entered are saved and can be used in other applications later. Again, tap the field into which you need to enter details, and select the following message dialog. 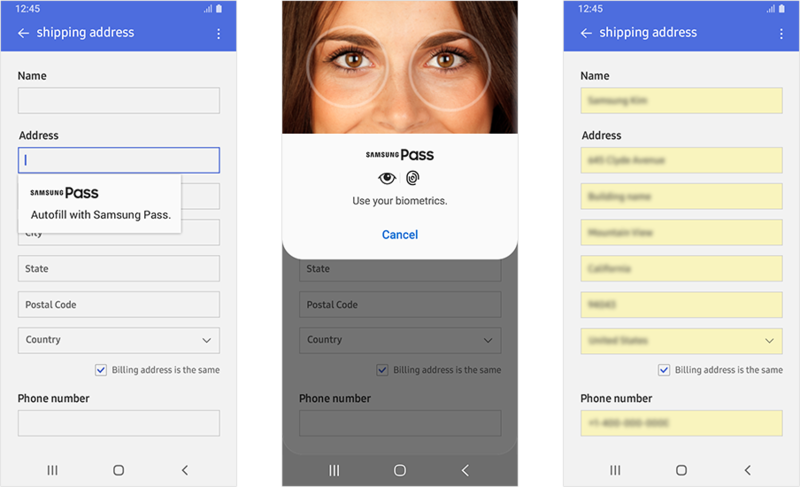 Once the biometric authentication process is completed, the saved details are automatically entered. - Open the application for which you need to enter card details. - When you select the Credit card or Debit card field, the following message appears. 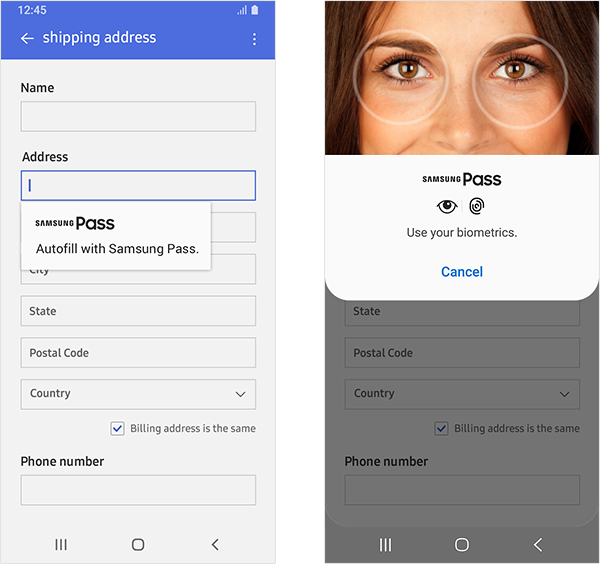 “ Use Samsung Pass to autofill this field with biometrics instead of typing next time. " 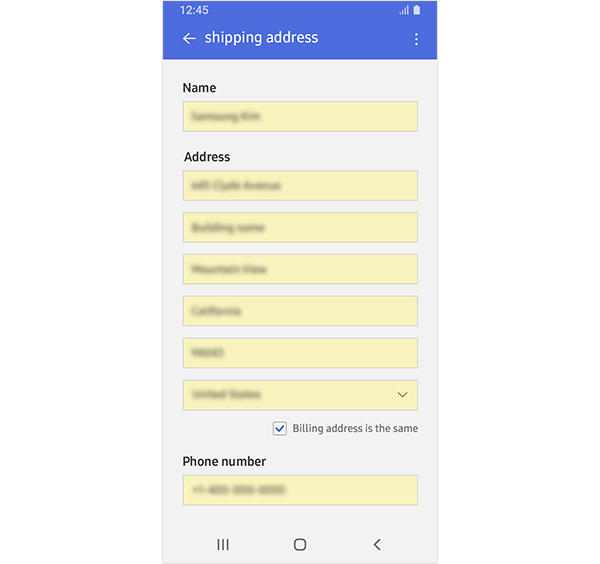 If you wish to add another shipping address or card, then open the Samsung Pass application. 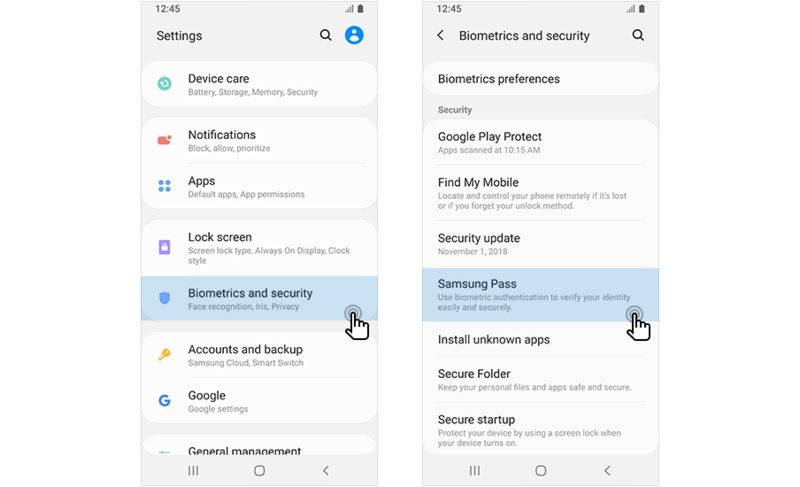 * Path: Go to [Setting] > [Biometrics and security] > [Samsung Pass], or go to [Setting] > [Lock screen and security] > [Samsung Pass]. 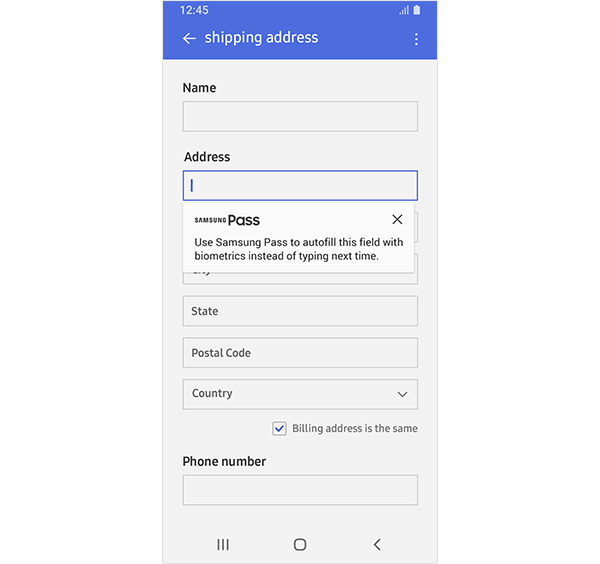 Tap the 'Autofill forms' button in the bottom-right corner, and find the menu for adding frequently used shipping addresses or cards. The added details can be edited or deleted as desired.